It’s the golden egg! 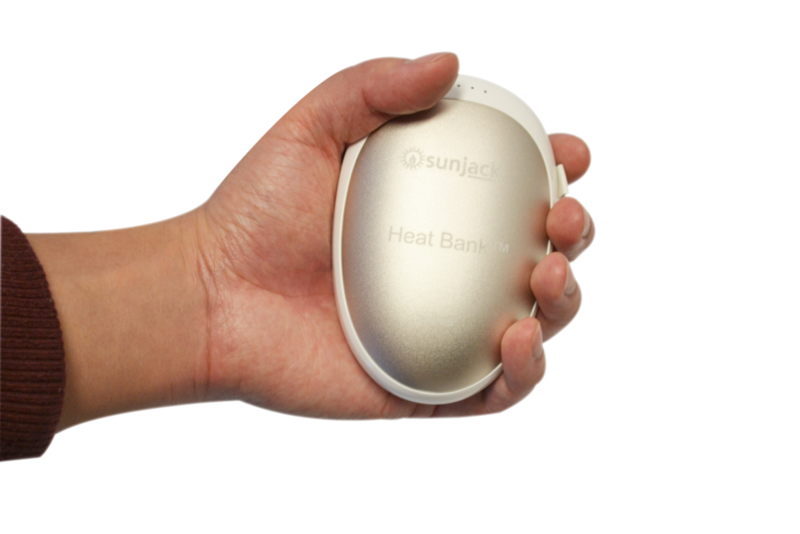 The Sunjack Heat Bank will keep your hands warm AND charge your phone! Shaped a little like a flattened egg, this gold-colored gem fits in the palm of your hand and emits heat from both sides. On a fully charged battery, which takes about 5 hours from any USB power source, it will provide heat of up to 122°F for 4 hours. Weighing in at only 14 ounces, it fits easily into your pocket or backpack, and it also has a convenient lanyard for carrying. With a battery capacity of 7500mAh, it can be used as a power bank to recharge all your devices. A fantastic two-in-one find!